For indoor cooling and heating in commercial buildings with fresh air supply to enhance indoor air quality. Air outlet with integrated damper control; for temperature-dependent switching of the discharge direction between cooling and heating mode by automatic thermostat adjustment unit. 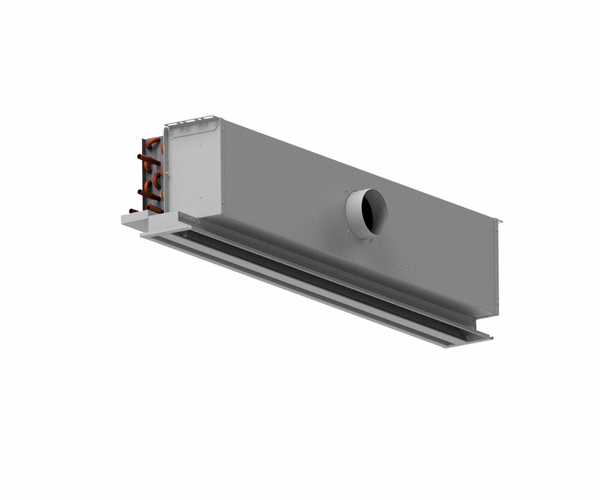 The chilled beam is designed for ceiling mounting close to façades and is particularly suitable for installation in office and administrative buildings.